The first thing that struck me about Liane Lang’s approach to her Eton residency was the clarity with which she identified and recognised the many wall inscriptions and carvings she encountered there as graffiti. This is reflected in the exhibition title, Old School, as well as in her conceptual and material approach to the work. But what kind of graffiti is this? Surely it is far from the stylish aerosol pieces from 1970s New York trains, or from the wondrous writings of somewhere like Pompeii and yet, it seems to retain some of the defiant nature of the former, and the heritage value of the latter. Unknowingly, Lang has situated this body of work right at the centre of current debates in graffiti scholarship, exploring relations between institutions and individuals, monumentality and minority, norm and subversion. 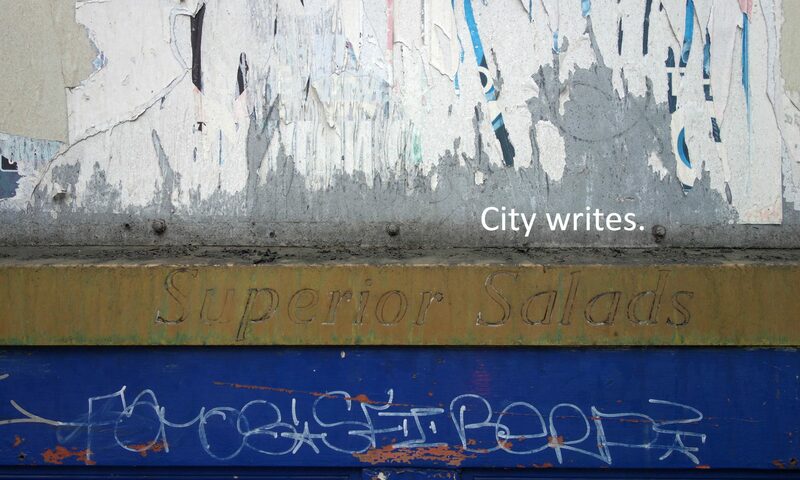 However, in parallel and almost contemporaneously with Watson, sociologists, criminologists, art historians and cultural researchers have started discussing not only the social and artistic significance of the practice, but also the cultural implications of framing graffiti as heritage and its importance in the understanding of urban environments. I situate my own work within this spectrum, examining graffiti as a claim to spatial production and the right to the city. In my experience however, there is a sense of confusion and contradiction when one encounters these types of inscriptions: what is their value? How does one assess the significance of these material artefacts, and how can they be employed as insights into past, and present, cultures and spaces? Why are the classroom carvings at Eton interesting, and why do they matter? Old School provides some answers to these questions. Perhaps the primary importance of graffiti is that it presents material evidence for marginal social and spatial engagement, which often takes place in defiance of institutional discipline. These inscriptions reveal use, appropriation and production of one’s physical and institutional environment, and are records of personhood and initiative. Moreover, they are legitimate forms of engagement with one’s surroundings, even when they are created despite expected norms of property and propriety. They are legitimate because they carry gestural intimacy and the ambition of permanence, the personal aspiration of leaving a tangible trace. Lang saw this in the classroom inscriptions at Eton and intuitively captured its significance of alternative, minority record of the institution. The surfaces of buildings are points of friction between, on the one hand, occupation and use and, on the other hand, property, tradition and norm. Eton’s swollen historical surfaces are further enhanced and revealed through Lang’s material methods, from her overpainted prints, such as Paying the Devil or Path to Glory, to the print on marble in the exhibition (Social Climbing), and to the spectacular plaster cast of the engravings in one of the cloister walls (To the Bone). Lang recounts how taken she was by the dynastic nature of this graffiti, an accumulation of family names which offers unmediated access to Eton’s history through surface markings: a surface family tree, a self-produced archive of presence which Lang acknowledged and celebrated in the Old School exhibition. Lang’s photography and sculpture grant visibility to these markings, which would have otherwise continued to remain marginal, hidden and tied to their locations. Through this body of work, the marks are captured and made into object-palimpsests, so they can circulate outside the institution and be re-set in other spaces, through other lenses. In this sense, Lang’s work is narrative, as it tells the stories of Eton through its walls and people, but it captures this human presence from the distance, only revealing it through its traces, while at the same time creating new ones. Just like derma on living creatures, the skin of buildings is deep and multi-layered: it accumulates paint and colour, creating a palimpsest of testimonies and experiences, of aspirations and vulnerabilities. The surfaces of buildings develop rifts and intervals, signs of deliberate modelling and trauma, created from positions of centrality and power, or marginality and exposure. Lang captured the intricate relationship between the College and its surfaces, from the Reformation whitewashing of paintings from the Chapel walls, to the worn-out benches carved by generations of boarding school boys. What is more, Lang adds her own layer of surface alterations to the physical and conceptual space of Eton, by drawing and painting over its images and producing her own transgressions, invocations and censorships (see, for example, her own Graffiti or Blowout II). It is the privilege of the writer and the draughtsman, whose action is always proper. The presence of multiple surface discourses is a key sign of an open and inclusive environment, whether at the scale of the city, or smaller. Irrespective of their acceptability, signed names, or tags, are full of evocative power and social relevance. Participation in the surface discourse can be done in defiance of the law (such as boys carving their names in school benches or spraying them on the outside of train cars), or in production of the law, like when original chapel paintings were whitewashed in the 16th century, or trains were chemically treated against graffiti in the 1970s. Wall writing enables both the production and the breaking of the law, yet graffiti always seems to fall in the latter category – why? Inscribing surfaces is not allowed anymore at Eton, Lang informs me, another layer of surface management that she uncovered and captured during her residency. But what makes these inscriptions illegal? Why is graffiti forbidden? Graffiti was deemed unacceptable to protect the establishment against the collective stamina of a plural, self-motivated culture. Just like authorities claimed moral jurisdiction over the city and set out what was allowed and what was to become criminal (graffiti itself first became a crime in 1972), the institutional authorities at Eton very much rely on the monumentality of their buildings to define and preserve their own authority and precedence. At the same time, Eton now preserves these inscriptions as if they were frozen in time, and has symbolically afforded them heritage value. In fact, while these inscriptions now appear to be almost synonymous with the institution, Lang saw immediately understood their personal, marginal and disruptive nature. And she cast, photographed and replicated them, making them central to her artistic exploration that was historical as much as it was spatial and material. These inscriptions are forbidden through a spatially-expressed moral and legal jurisdiction, and Lang raised them to primacy through artistic practice and authorship. Perhaps a central challenge to this project was the density and impenetrability of Eton, both in its architectural and institutional dimensions. Everything seems marginal in relation to the school and its­­­­­­ buildings, but Lang is an artist who thrives on this type of challenge. She has shown this before in her interrogations of Soviet monuments, where she disrupted the physicality and ideology of these statues by overlaying them with dummies of female bodies. This time however, it is the presence of the artist herself that questioned the Eton establishment as a female artist, and one of the few women artists-in-residence at the College. Moreover, she decided to emphasize some of the erasures the institution had performed, by bringing forward a series of marginal histories that tell the tales of inscription and iconoclasm, of marginality and control. Old School is a most timely lesson about inscribing one’s presence onto the world, laying claim to one’s history, and ceaselessly fighting for the right to be visible.